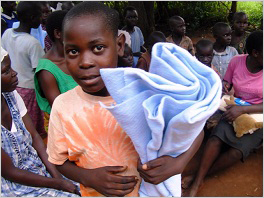 Our basic assistance program focuses on meeting our partners' most critical needs. The program is at the forefront of our work in combatting poverty and responding to emergency situations. We provide basic assistance for food, clothing, rent, medical expenses etc. to partners struggling to make ends meet for the orphans under their care. This includes responding to requests for emergency assistance from our partners when short term intervention is necessary. "We are grateful to OFA-USA for the generous donations made this year towards the provision of food for the children during the school holidays. This enabled us to feed all of the sponsored children. Uganda continues to experience drought and food shortages in most parts of the county and it is projected that this trend will continue into 2018. As a result, the cost of living has continued to rise." Basic assistance is often vital, but it only acts as a temporary solution and we aim to move our partners towards self-sustainability. Our strategy is to partner with small grass-roots African organizations working with orphaned and abandoned children and build their capacity so that one day they won't need our help. The basic assistance program often has a particularly significant role when we take on new partners. As our work with a partner progresses, we aim to target our involvement through our other programs to support children's development (child sponsorship and education programs) and build longer term capacity (construction and micro-enterprise programs).